For all of those who guessed Bachelor Pad, you were right! Yesterday, I went to the finale taping of Bachelor Pad 2 and it was AWESOME. I can't say too much, since I signed a contract saying if I revealed the ending, they could sue me for 5 million dollars. So I'd rather not risk that- especially on a blog! But I did get to see everything- who won, who fought, who cried (there were several), who is still a couple, and who the next bachelor is! (UPDATE: I just saw that ABC announced it...the new bachelor is Ben!) They also showed us next week's episode so we'd be up to date. It was an amazing finale and there was a HUGE surprise that I was not expecting. Some of it was hard to watch...some people were hurting and it was really sad to see how real it was. I'm not sure what they'll air, but it was amazing to see how long they actually tape. We were in the studio for 8 hours, and they were shooting for about 6 of those....so a lot of it will get cut. I'm not sure how much I can actually say after it, especially of what they don't show....but hopefully they show a little of everything and I can talk about it all! I'm not sure if I'll be on TV- they show a lot of the audience in these episodes, but they didn't film my section a lot. I wasn't sad though because we had the best view- we could see Chris Harrison and the contestants, whereas some people could only see the back of the contestants' heads. That's awesome that you got to go, and that you got to meet some of them! My guilty please is all things Bachelor - I can't help it I just love the drama! haha I'm excited for the finale! That is SO fun! Can't wait to hear all about it! So cool. You are soo lucky!!! This season is almost dreadful to watch.. I hope the outcome is good! That is so awesome. I haven't been keeping up with the Bachelor Pad, but I always tune into the Bachelor/ette. Can't WAIT for the next season of the Bachelor, since he is ssssooooo cute. Was he cute in person too!? Although it was sad to see people upset, it's kind of nice to hear that it's real. Since I don't watch those shows, I sort of have this preconceived notion that all of it is scripted to be as dramatic as possible! I might just watch in hopes of seeing you! Haha! Did Doug go, too? Oh my gosh I'm so jealous!!! I love this whole franchise. I can't wait to hear more about it! Umm...of everything I read on blogs daily, this one takes the cake on things that I would like to experience. This must have been so much fun!!!!! Were you at after the final rose or were you at the last episode? Oh my gosh I'm so jealous. Can you please tell everything that you know after they air everything. You should find out so that you can do an entire 8 hour recap. Did they give you snacks? That's a long time BTW. Wow!! I am so jealous, that is so exciting!!! 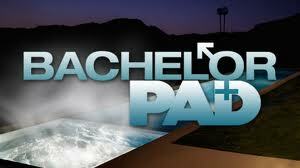 I haven't really gotten into Bachelor Pad, but I am so ready for the next Bachelor. whaaaaaaaaattttttt?! shut the front door! i live for reality tv - this is amazing!!!! AAhhh how cool! I don't even watch this show, but I'm oober excited for you! I'd love to go see a live taping of any show! Ohhhhhh myyyyy goshhhhhh!! This is so so cool!!!!!!!!!!!!!!!!!!! I haven't even watched this show, but I still think it's amazing! Woah! I didn't know you could go to the tapings of shows like this. What a cool experience. :D I literally LOL'ed when I read the part about them suing people for 5 million dollars if they revealed anything about the show. P.S. I'm giving away an Infiniti curler and $25 to Sephora away on my blog. I would love if you could check it out! Are you KIDDING me?!?!?! Julie! How did you get to do that! Man... I'm definitely jealous of your California life! Oh wait, I meant to say so so so happy for you. hehe! I really am! How exciting that you guys are getting to experience so many new and fun things together!! I can't wait to watch Monday!